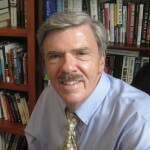 Robert Parry is a longtime investigative reporter who broke many of the Iran-Contra stories for the Associated Press and Newsweek in the 1980s. He founded Consortiumnews.com in 1995 to create an outlet for well-reported journalism that was being squeezed out of an increasingly trivialized U.S. news media. You can buy his latest book, America’s Stolen Narrative, either in print or as an e-book from Amazon. Washington abuzz about Comey’s testimony, excited about Trump impeachment but misses the underlying story of a “soft coup” by the Intelligence Community. So what did you think a U.S.-styled “soft coup” would look like? Are we seeing the intended removal of President Trump in a process never seen in America? US News media flip-flops on whether international law is inviolate or can be brushed aside at America’s whim & similarly whether killing civilians justified. Prospect of Donald Trump in the White House alarms many people but bashing him over views on NATO and U.S.-Russian relation could be disastrous. Neocons want a new Cold War – all the better to pick the U.S. taxpayers’ pockets – but this reckless talk and war profiteering could spark a nuclear war. Why British voters turned a deaf ear to scary warnings about leaving the E.U. and struck a blow against an out-of-touch, and incompetent Establishment. Though the mainstream media is focused on Republican divisions, a more important story could be the coming Democratic factional war. Sanders on the defensive in uphill primary fight against Clinton because he shies away from defining himself as the realist and her the necon.